Zoho Forms is a drag and drop form creator allowing you to easily drag fields to your form design to create customised online forms. Check out the video below for a quick overview. Mobile friendly, very easy to use. Enrich forms with details that matter. 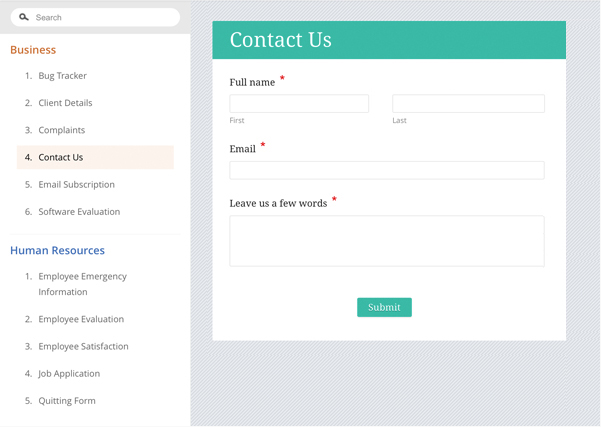 Validate inputs and customise field and form rules. Enable digital signatures to enforce ‘paper trails’ and approvals and increase your credibility. 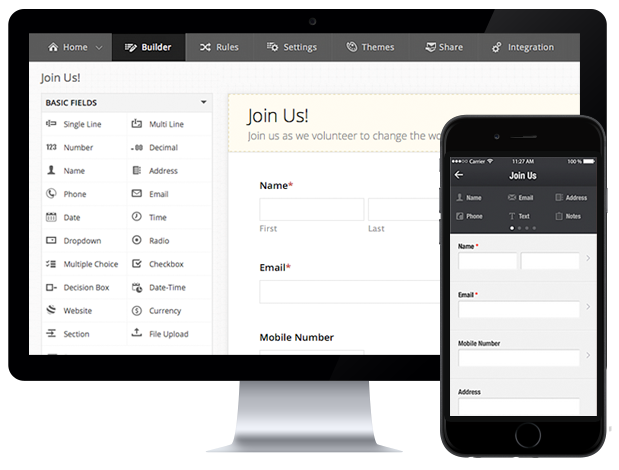 With a robust mobile builder and cloud storage, form building has never been easier. Promote team collaboration and create effective workflows. Have a process that involves a signature on a form? Need management sign off before proceeding with a business process? No problem. 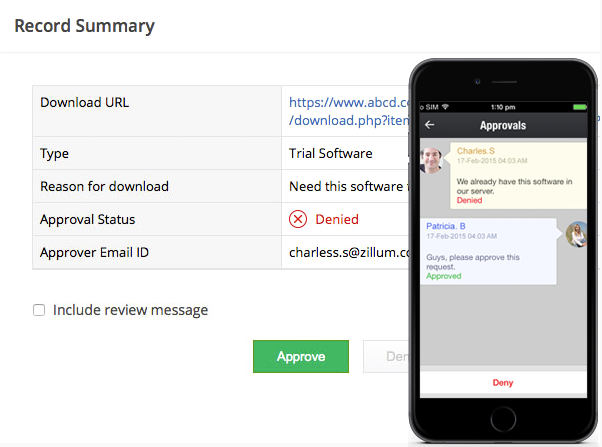 Zoho Forms means your workforce can update form data and add comments and even sign an electronic signature, right on the form from their mobile device! 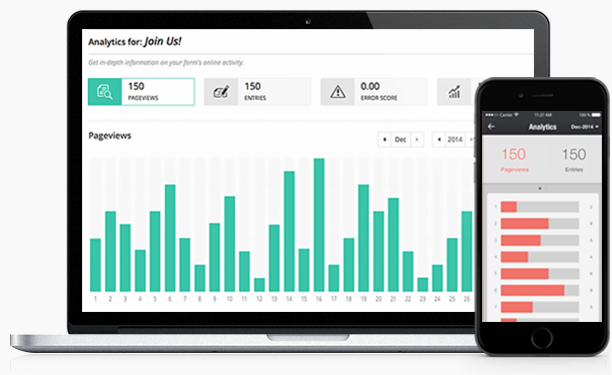 Notifications get sent to relevant team members and everyone is kept in the loop. 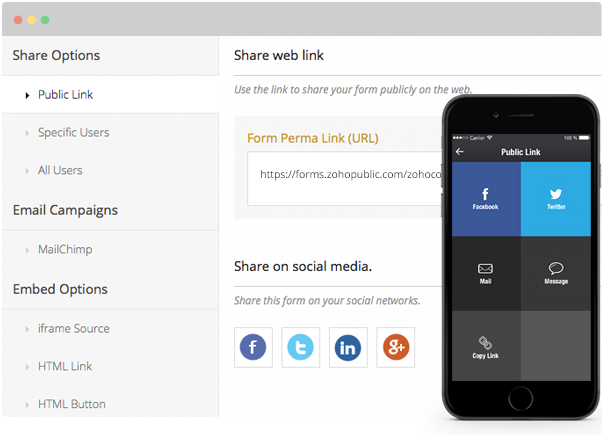 Share forms internally with your team, or for example, if you have a seminar or some other sort of campaign you can publish a form on your social platforms, or embed links in email campaigns. Go offline as well, or generate a printable QR code for every form. The data you collect is stored on the cloud, which means you do not need to worry about security. Get meaningful reports on the data that has been submitted to your forms. Run reports for management, keep everyone informed. 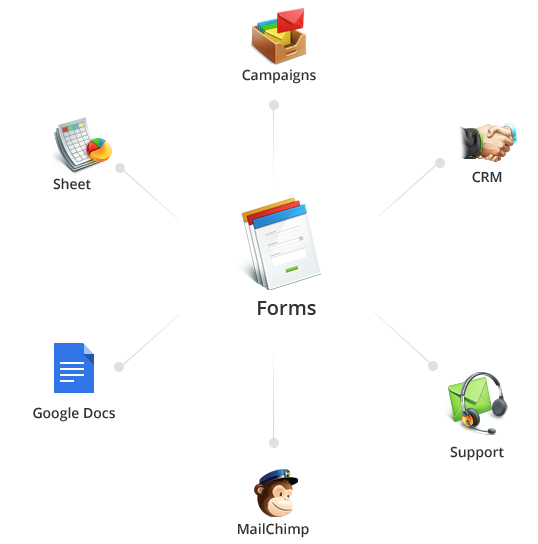 Integrate forms seamlessly with other Zoho apps such as Zoho CRM as well as external apps like MailChimp and Google Spreadsheet. The opportunities for use of Zoho Forms are endless - office, construction, healthcare, HR… so many areas of business use paper or web forms, the only limit is your imagination. Zoho Forms comes with a gallery of ready-made templates, which you can choose from to match your needs and save time in the process. Contact us now for more information on how Zoho Forms can benefit your business.